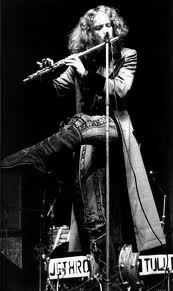 The name Jethro Tull comes from an 18th century gardener/inventor and this new group that adopted his name had their roots in the progressive British Folk /Jazz /Blues boom of the late 60’s and the two main members who really spilt this band in two at this point were Scottish flutist and vocalist Ian Anderson and guitarist and singer Mick Abrahams who were joined on bass by the very capable Glenn Cornick and the very very capable Clive Bunker on drums to form the band in 1967. With both Anderson and Abrahams having strong ideas on the right direction for the group to go, by the time the groups first album release ‘This Was’ appeared, Abrahams had departed their ranks to follow in a more blues direction with his new group Blodwyn Pig who released two great albums called ‘Ahead Ring Out ‘ and ‘ Getting To This ‘ with Abrahams playing his cherry red Gibson SG and singing to great effect. I was lucky to see Blodwyn Pig at the Marquee Club in London and they played a great show with Andy Pyle’s bass going right through your chest if you were standing in the first ten rows which I was. 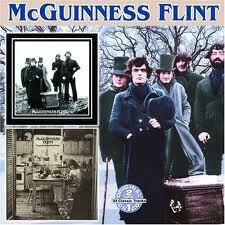 But for the moment let’s concentrate on this overlooked gem of an album ‘ This Was ” from 1968. Side One kicks off with the jazzy My Sunday Feeling written by Ian Anderson with him on lead vocals and flute and features a great solo from Mick Abrahams with the rest of the band right on the money! 2) Some Day the The Sun Won’t Shine a slow twelve bar blues with vocals by Abrahams and Anderson who also plays mouth organ. 3) Beggar’s Farm ~ like the Jethro Tull we all got to know with the jazzy flute to the fore and another great solo from Abrahams. 4) Move on Alone ~ a Mick Abrahams song with him on vocals and a brass section featured on this track. 5) Serenade for a Cuckoo ~ Instrumental ~ a Roland Kirk song which shows where Ian Anderson got his jazz influences on flute from. Nice playing all round. Side Two starts off with Dharma For One another instrumental with a Clive Bunker drum solo. 2) It’s Breaking Me Up ~ another great twelve bar blues with great playing for Abrahams ~ very bluesy. 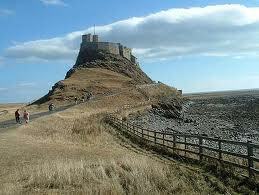 3) Cat Squirrel ~ This is the track that I think spilt the band in two. An instrument with features all the best points of Mick Abrahams playing. 4) A Song for Jeffrey ~ This was the single from the album and the start of the direction Anderson would lead the band in and a precursor to Living In The Past . 5) Round ~ A short jazz Brubeck idea. On the Deluxe 2 CD Collector’s Edition reissue of ‘ This Was ‘ you will find excellent BBC sessions from Top Gear, John Peel Show plus Stereo and Mono mixes of the album with extra tracks like ‘ Love Story ‘ which was the last song recorded by Mick Abrahams with the band and it’s my favourite, released as a 45 it featured Christmas Song on the B side which are both worth hearing for the mandolin playing alone as is ‘ Sunshine Day which was their first single released on MGM and credited to Jethro Toe, also ‘ One For John Gee’ who was the manager of the Marquee Club and was responsible for getting the band a residency at the club early on in their career. On Saturday June 7 th 1969 three of my friends Kevin, Arthur and Kieran and me caught the train up to London to see Blind Faith perform free in Hyde Park to about 200,000 people. It was a real beautiful summer’s day as we sat down on our little patch of grass to watch the afternoon’s entertainment. First on that afternoon was the droning Third Ear Band followed by the Edgar Broughton Band who did manage to liven up the crowd with their open air anthem ‘Out Demons Out’. Next on stage was Woodstock favourite Ritchie Havens who was great to see and then followed a quiet set from Donovan, and boy was it hot that afternoon! but it was better temperature wise when Blind Faith hit the stage at about 5pm. Billed in the music press as a supergroup this band consisted of Eric Clapton on Guitar and Ginger Baker on Drums from the legendary group Cream also Stevie Winwood on Keyboards from Traffic and the little known Ric Grech on Bass from Family. Straight away you could tell that this group would not be following in the footsteps of Cream but as the first self titled album would show this was a half~decent band which were not given much of a chance to progress and fell apart during the following US tour as Clapton quickly lost interest in playing long solos and decided to hit the road with Delaney & Bonnie as a back up guitar player and was more influenced by the Band album ‘Music From Big Pink’ than anything that he and Mr Winwood could come up with at this point! Unfortunately Stevie Winwood being the great musician he is, does not have the greatest stage present, but it was great to be there to see them. 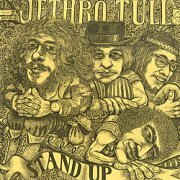 As we trundled back on the underground to our home town in Essex we decided that such a big debut concert was not the best idea for Blind Faith this new under~rehearsed band but all was not lost as that evening we were going to see Jethro Tull at the Roundhouse in Barking Essex. A full day of music! I had loved Jethro Tull’s first album ‘ This Was’ with Mick Abrahams on guitar and was sad to see that he had left the band due to a difference of opinion with Ian Anderson about which direction to take the band in, but the new album ‘Stand Up’ had just been released and tonight we would be seeing their new guitar player Martin Barre play live. Mick Abrahams would go on to have a solo career and form the band Blodwyn Pig who I also saw live at the Marquee Club. When we finally got in the place was packed and it was a hot night inside the building and outside and there was little room to move we were like sardines but the band came on stage and straight away delivered a stunning performance with Ian Anderson in his Aqualung tramp stage outfit standing on one leg like a demented ballet dancer all hair and beard with flute in hand and his eyes popping out of his head delivering his outrageous words. Brilliant! 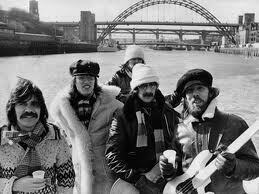 you could see that their was only room for one star in this band as they went on to be one of the world’s best bands. On guitar new man Martin Barre with his Gibson Les Paul turned up to 11 let us all know that he could play with beautiful guitar solos and rhythm on each song. On drums Clive Bunker was as solid as ever along with bassist Glen Cornick they supplied the back~bone to the Jethro Tull sound for many years to come. It was so hot and packed inside the hall that by half~way through their performance people down the front of the audience were fainting and had to be lifted above the crowd and passed back over the top of the audience and out to the St. John’s ambulance people in a tent out the back of the building. So ended the lesson. 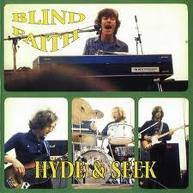 One of the greatest day of music from Blind Faith in the open air in Hyde Park to Jethro Tull in an old bingo hall in Barking Essex. Amen. Gerry Rafferty~Clowns to the Left Jokers to the Right! 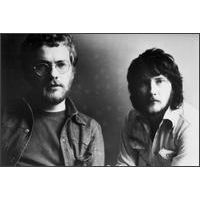 Scottish singer Gerry Rafferty and comedian Billy Connolly were an unlikely pairing in their group the Humblebums but for a while it worked really well with Gerry supplying the songs and Billy the comedy between the music. Gerry Rafferty’s strong songwriting talents were already in evidence at this early stage of his career with songs like the turntable hit ‘ Shoeshine Boy ‘ and the Humblebums became well~known on the live folk club circuit of Glasgow. However as Billy’s jokes became longer and longer, Gerry’s songs had to get shorter and shorter and Gerry soon spilt from Billy and headed to where the bright lights of London were calling in 1969 and as for Billy Connolly the rest as they say is history! Our little Scottish singer songwriter signed a solo deal in London with Transatlantic Records and in 1971 released ‘Can I Have My Money Back’ which received excellent reviews and featured the vocal talents of his ol’ school chum Joe Egan on some tracks and from these sessions the group Stealer’s Wheel was born. 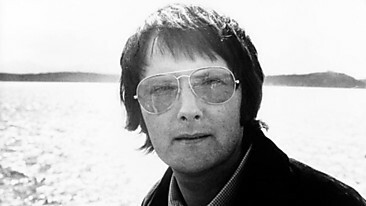 ‘Can I Have My Money Back’ was produced by Hugh Murphy who would work with Rafferty again on his solo work in 1978. Stealers Wheel first self titled album released in 1973 was a big success produced by legendary 50’s producers and writers Leiber & Stoller. With Egan and Rafferty on vocals and harmonies they sounded a little Beatle~ish and with a great back up band the chosen single ‘Stuck In The Middle’ zoomed up the charts in the UK and the States and was later used in the Quentin Taratino film ‘Reservoir Dogs’ in 1991. Stealers Wheel were to last for three albums, the self titled Stealers Wheel, Ferguslie Park and Right or Wrong and each one is really really good in their own right! In this time Gerry Rafferty left the band and then came back on the success of the single before the whole thing fell apart again, but this period of his career is well worth searching out! It took him three years of legal hassle before he could get himself free and release another solo record and what a record it was! The great British pop record of 1978 was ‘ Baker Street’ right in the middle of the Disco period the instantly recognizable sax riff from Raphael Ravencroft helped make the record a world~wide hit from his first solo album ‘City To City’ which went Platinum (back when Platinum sales really meant something!) selling over five million copies. Every radio station around the universe had the song on heavy rotation, but our reluctant star Gerry refused to tour the USA and continued to do things in his own relaxed way! That was the one thing about Gerry Rafferty he was a songwriter talent of the highest order and didn’t suffer clowns or jokers gladly! He will always be remembered down on the corner of Baker Street. Once again Gerry’s solo albums are all of the highest quality and look out for the songs : Can I Have My Money Back ~ Mary Skeffington ~ Shoeshine Boy ~ Steamboat Row ~ Everything Will Turn Out Fine ~ Star ~ Right Down The Line ~ Night Owl ` Get It Right Next Time ~ Whatever’s Written In Your Heart ~ Days Gone By and North & South ~ to name but a few! Sandy Denny ~ We All Play Solo! Some of you may not have heard of the singer Sandy Denny before, but a 19 CD lavish Box Set of her entire work was released late in 2010 and I am sure some of you have heard her before but never knew it! 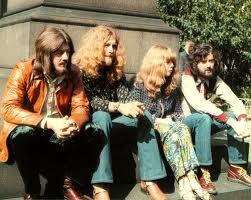 because she performed on the track ‘Battle of Evermore’ with Robert Plant on the Led Zeppelin IV four symbols album. 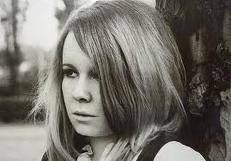 Sandy Denny wasn’t sure if she wanted to be a big solo star or be just a singer in a rock n roll band but what she did during her career had class act written all over it, playing with great musicians with her haunting tender voice and writing a body of beautiful songs. 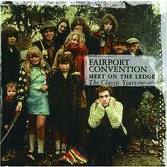 Let’s start in 1969 with her joining the folk rock band Fairport Convention which included in their line up the brilliant guitarist Richard Thompson, singer Ian Matthews and bassist Ashley Hutchings on their 2nd album ‘What We Did On Our Holidays ‘ which features Denny’s song ‘Fotheringay‘ and the now classic Fairport song ‘Meet on the Ledge’ . This album was followed shortly by ‘Unhalfbricking‘ (showing a photo of Denny’s parents on the front cover) with Ian Matthews leaving the band at this point but being replaced with violin player ex~ordinaire Dave Swarbrick who always had a ciggie in his mouth and a fiddle in his hands. This album features the beautiful Denny song “Who Knows Where The Time Goes’ which Judy Collins covered and the epic ‘A Sailors Life’ which started to lead the band in a new unique direction which would produce one of the greatest folk rock albums of the 70’s ‘Liege and Lief ‘. Before that album was recorded the band suffered a terrible tour bus crash which claimed the lives of Fairport drummer Martin Lamble and Richard Thompson’s girlfriend girl Jeannie Franklyn while Sandy had travelled by car with her new Aussie boyfriend and future husband Trevor Lucas. Adding new drummer the fabulous Dave Mattacks to their ranks and with Dave Swarbrick now as a fully paid up member of the band the classic album Liege and Lief was produced with dazzling solos from Thompson and Swarbrick but no Sandy Denny songs were featured only her vocals as she was about to leave the band and form her own band Fotheringay. Fotheringay had a stellar line up of Gerry Conway on drums , Pat Donaldson on bass (and both later with Cat Stevens) and the excellent Jerry Donahue on guitar along with Trevor on acoustic guitar and Sandy on vocals and piano. They only released one album called Fotheringay which features plenty of the best of Denny’s songs before Sandy decided to go solo while recording tracks for the second Fotheringay album which was finally released in 2008 and is excellent! Sandy recorded four solo albums all together (The North Star Grassman & the Ravens ~ Sandy ~ Like An Old Fashioned Waltz and Rendezvous) during the 70’s before re~joining Fairport one more time for the album ‘Rising of the Moon’ but the spark had gone after years of smoking and drinking and after the release of her final solo effort ‘ Rendezvous ‘ in 1977 she suffered injuries from falling down a flight of stairs and died the following year 1978. 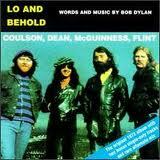 All of her albums with Fairport, Fotheringay and solo Sandy Denny are wonderful ! Whatever you do don’t make it sound like Sergio Mendes! 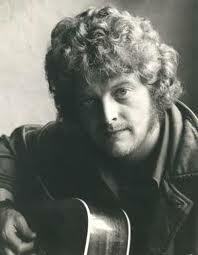 I was lucky enough to see Patto play in the early 70’s on a double~bill with Argent. It was Argent who were the headlining act because of their current hit single ‘ Hold Your Head Up ‘ but it was Patto who stole the show for me even though they were plagued with a bad sound system on the night. The reason that they stole the show was because all members of the band were outstanding players with plenty of backbeat and they seemed to not take themselves too seriously on stage laughing and joking all the way through their performance. Their humour was to also come across on the vinyl releases. 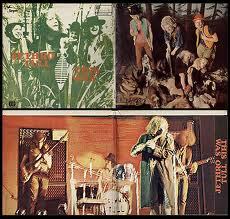 The band put out three great albums which were ‘ Patto ‘ (1970) and ‘ Hold Your Fire ‘ (1971) on the new Vertigo label and the classic ‘ Roll ’em Smoke ’em Put Another Line Out ‘ which was released on Island Records in 1972. Their producer on all three albums and a big supporter of the band was Muff Winwood, the brother of Stevie Winwood and the original bass player in the Spencer Davis Group who went on to be the head of A&R at Island Records and the producer of the first Dire Straits album. An all round music man. In the late 60’s the band started out as a 5 piece named Timebox and dented the charts slightly with their single “Beggin” before dropping down to a 4 piece and changing their name to Patto after the singer’s name. Their first self~titled album Patto starts off with the song “The Man” and straight away on the first track you know you are going to be in for something good as the song builds and then leads into a vibraphone solo from guitarist Ollie Halsall. This band can rock with a slightly jazzy feel and all four parts are equally brilliant! but in Ollie they had an outstanding guitar slinger who would be in my top ten all time favourites for sure ~ just listen to the solo on ” Red Glow ” and “Hold Me Back ‘ with the rest of the band pushing him along and also the great overlooked Mike Patto on vocals. Sales were poor on the first album but they were back in the studio and on tour with Ten Years After so things looked rosy!. ” Hold Your Fire ” starts off with the eight minute epic title track with the band in great form but once again the sales were not there and as Muff Winwood became head of A&R at Island the boys moved to the label with him. Roll ’em Smoke ’em was released in 72 and what an album it is with every track being great ~ slightly different from the previous two with Ollie playing more piano and keyboards on this one but this band had come of age and if you know any guitar players that are into metal or rock playing then I think they should have a listen to ” Loud Green Song ” on this album and then think again about what they are playing! ROCK ON OLLIE! Sadly this was it for the band as their sound fell on deaf ears and the band turned turtle but they have left behind them three beauties and all of them are a valuable addition to any collection. Mike Patto on Vocals : Mike went off to join Spooky Tooth after trying to hold Patto together for so long, then got back together with Ollie Halsall in Boxer before being diagnosed with Leukemia and this fighter passed away on the 4th of March 1979, and he is still singing the blues on red. A great loss! Ollie Halsall on Guitar : Ollie played with Allan Holdsworth and Jon Hiseman in Tempest for a while before becoming Kevin Ayers sidekick touring and playing some great guitar on his albums before moving to Spain where he passed away in 1992 from a heroin overdose. What a waste! Clive Griffiths on Bass : I met Clive one evening at Kings Cross station in the mid 70’s and he was driving a taxi to make ends meet and was playing in Joe Brown’s band but tragedy was to strike the Patto’s again! Both Clive and drummer John were on their way home from a gig with Joe’s band~ one minute they were driving the next they were in intensive care. The driver of an on coming car had slipped into sleep and hit them head on with Clive now being paralysed and suffers from memory loss and can’t even remember the Patto’s. For flat footed women everywhere! You are currently browsing the archives for the British Folk category.